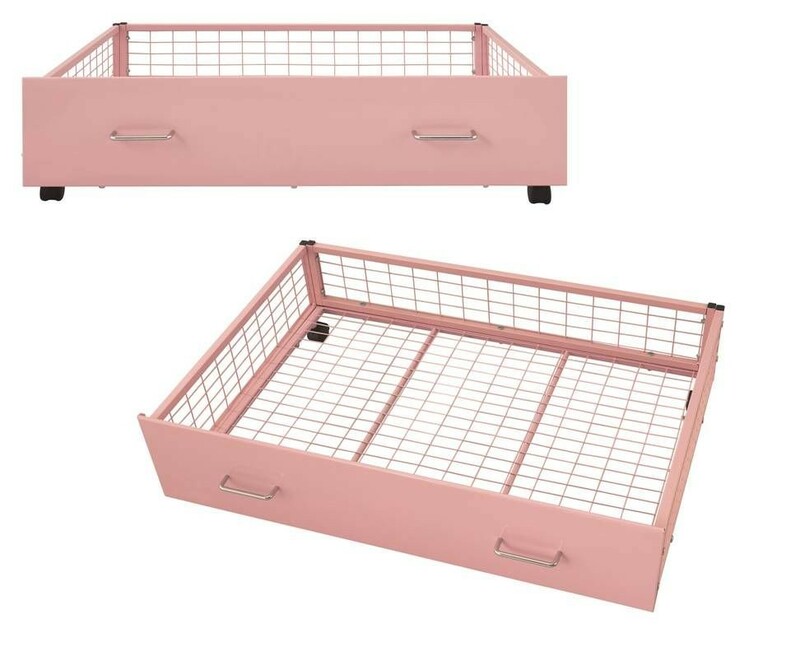 A PAIR of under bed drawers in pink finish. Sturdy construction with four multi directional wheels. In Stock For FREE Express Delivery.